Welcome to gtptabs.com! 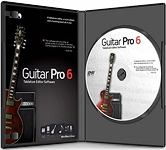 Here you will find free tabs for the Guitar PRO application. Our tabs database is constantly updated. Download tabs from our website and enjoy playing. Pick out your own melodies and share them with musicians all over the world. Hi everybody! Six months have passed since the opening gtptabs.com, but site improvement is in process. We have corrected all known bugs and flubs, added many new tabs, established handshaking with similar resources. In particular we exported our base on the 911tabs.com, provided searching and downloading tablatures in Guitar Tab Viewer and Guitar Tab Player for Android. We are going to create many new and interesting functions. Thank you for your attention to our site! Stay with us forever! We have completed the main development stage of the new Guitar Pro tabs website: http://gtptabs.com. We have improved the features of the http://gtp-tabs.ru website and added some new ones, including other languages. The website has become more attractive and more convenient. On March 4 we start beta testing the project. We invite you to try all the features of the website and let us know you remarks and suggestions. You can write us on any drawbacks or errors you will find. We hope you will like our new website.